This is a recipe we’ve been wanting to for a while now. This recipe is what every meal should be. Rich and succulent pork belly combine perfectly with the tender pork loin giving the dish the true taste of what pork can be. 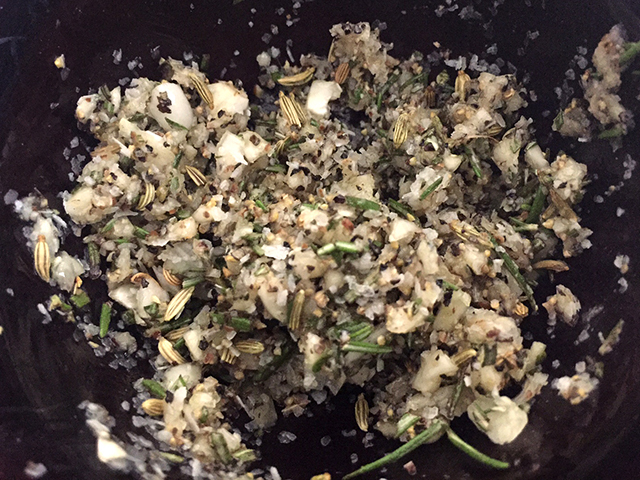 Start by combining all spices including olive oil and mix well. 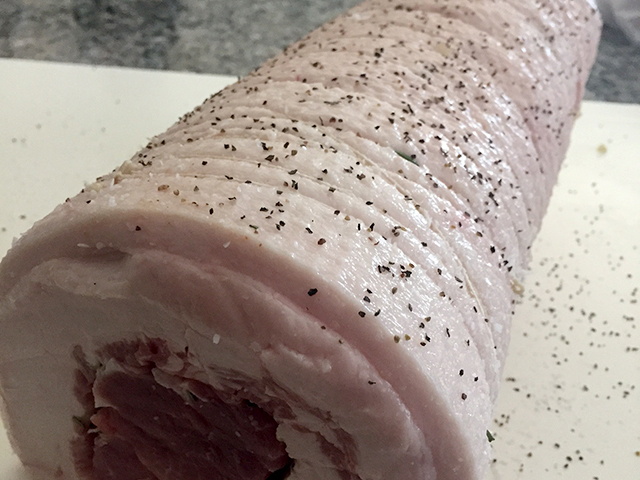 Next carefully slice a diamond pattern into the meat side of the pork belly (making slices 1/2 in a part and 1/4 in deep). 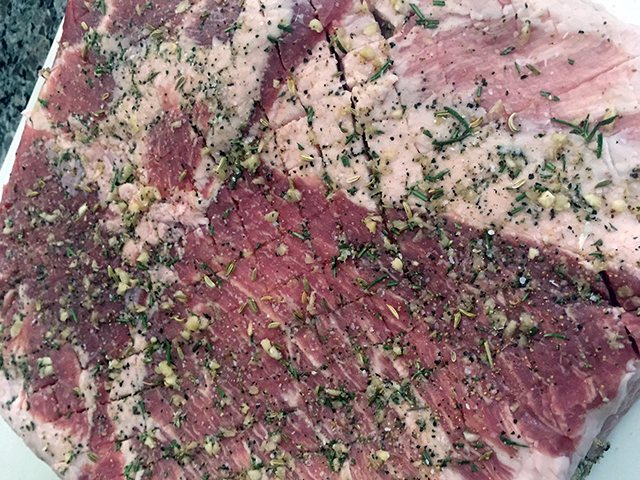 Once done take 2/3 of the seasoning mix and gently massage into the meat side of the pork belly. 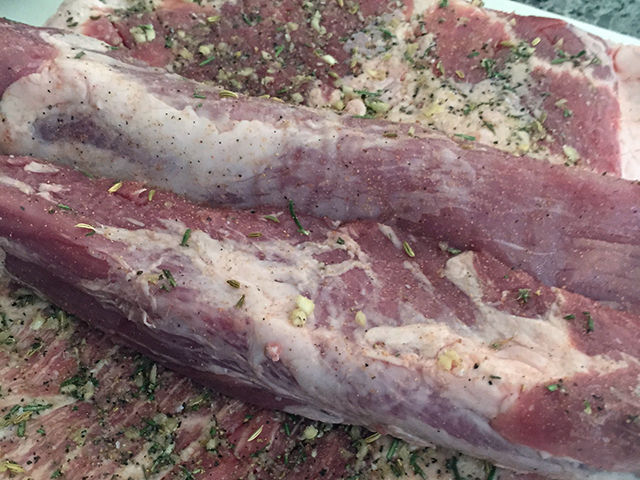 Then place two pork tender loins in the center of the pork belly and roll up. 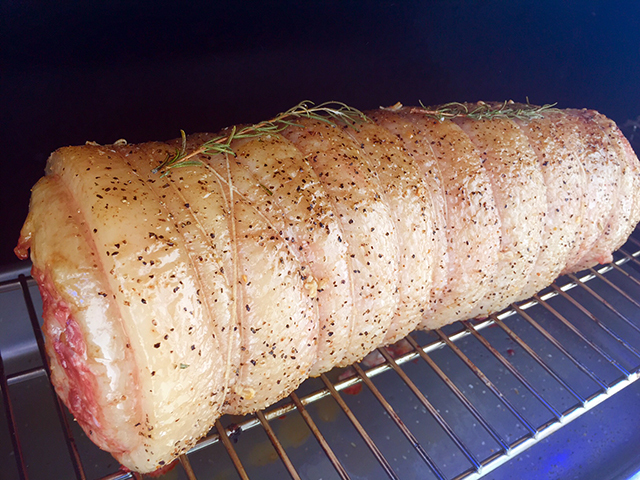 Using butchers twine truss the porchetta. (There are many videos online to help you with this step). 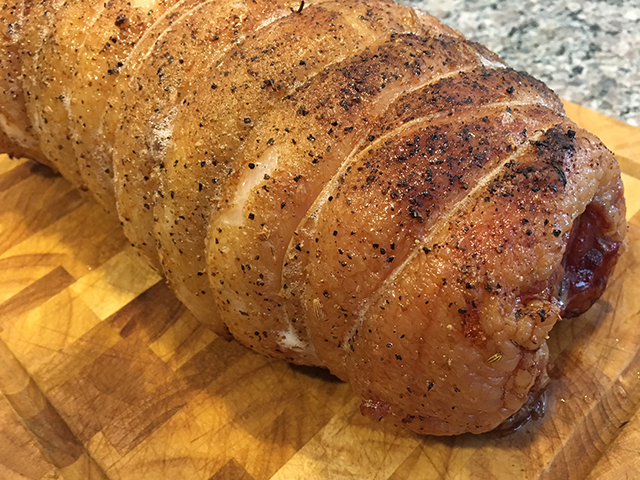 When you are all wrapped up season the outside with the remaining mix and place your porchetta in the refrigerator for at least 1 hour and up to 12 hours covered. When you are ready to cook set your grill to 260f and roast for 6 hours. 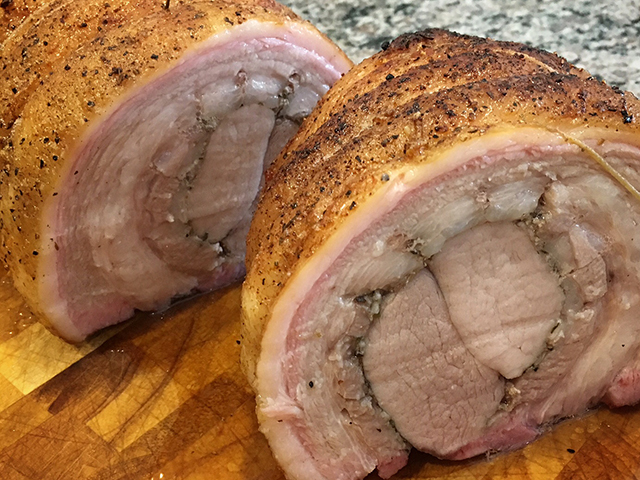 It’s very important to place your porchetta on a second shelf with a pan underneath to catch the drippings, this well help keep your grill clean and help prevent a grease fire during the final step. After 6 hours your porchetta should be getting some nice color and the fat should be mostly liquified. For the final step turn your grill to 375 and continue to cook for 30-45 or until you have a crispy exterior. Allow to rest for at least 15 min, slice and serve. 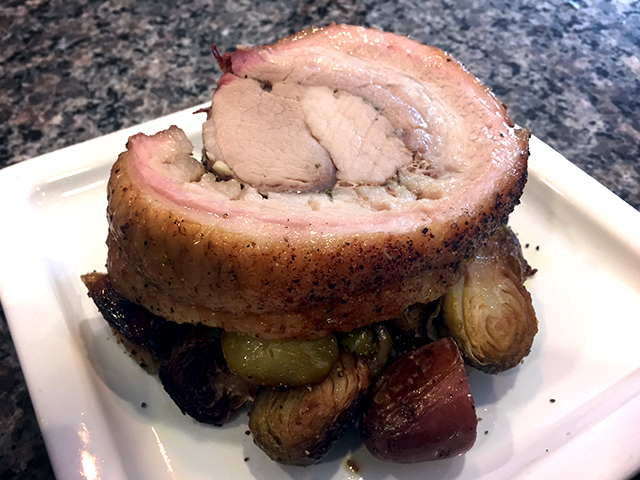 We decided to place the porchetta over some roasted vegetables, but it also makes a great sandwich using some crusty bread. Enjoy!